Global warming is why I have to shovel so much snow today! Wind speeds and climate extremes are driven by atmosphere temperature and pressure differences, which are increasing due to global warming, because temperature differences between land and sea get greater with global warming. Here is the latest global sea surface temperature and air temperature anomaly maps. 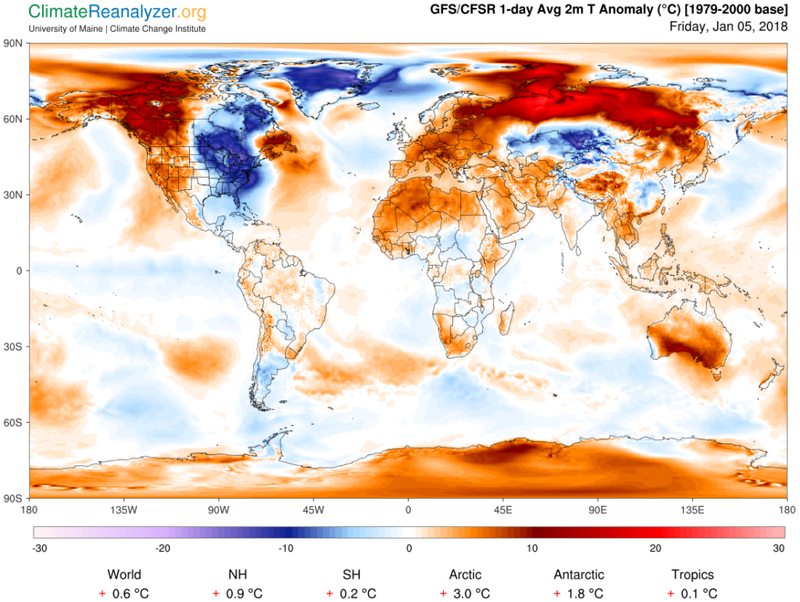 The Arctic is exceptionally warm, and most of the North Atlantic is 2 degrees C or more above average, causing much more evaporation over the ocean that turns into snow in a northeaster, and dumps it on my sidewalk. Also notice the hot water around Australia. The Great Barrier Reef will bleach for the third year in a row if this hot water does not go away very soon. 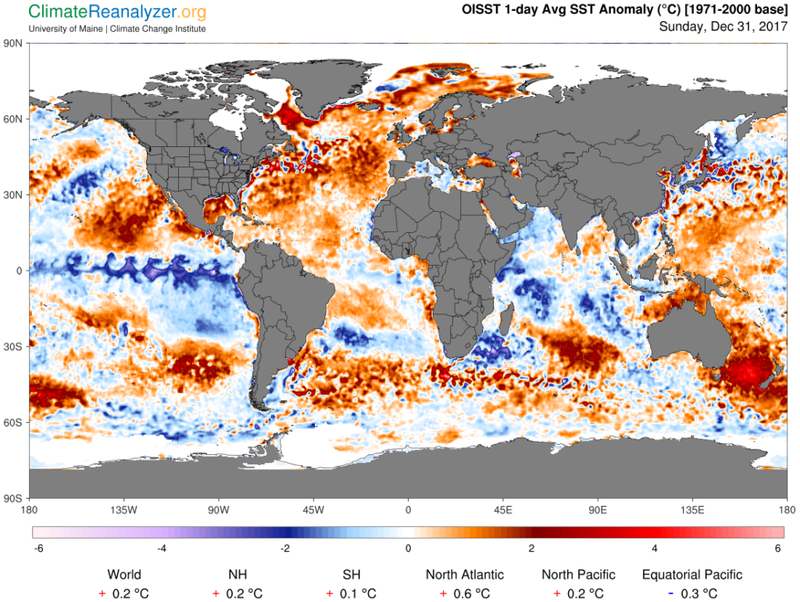 The biggest patch of cool water, in the eastern equatorial Pacific, is the remains of a La Niña that failed to develop and is fast dissipating.